Square Enix’s Deus Ex: Mankind Divided has just gotten a very in-depth six minute trailer that deftly explains the backstory, gameplay, and world of the upcoming title. 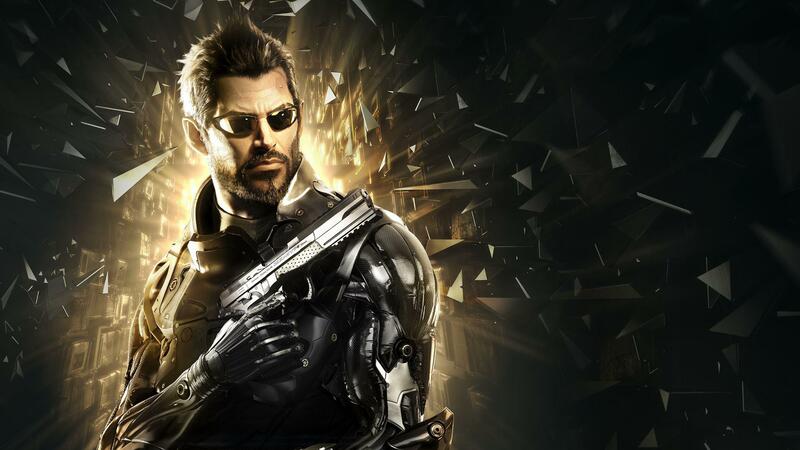 Set in the year 2029 (not long now guys) we follow the exploits of gruff security expert Adam Jensen. The trailer tells of a dystopian sci-fi future in which cybernetically augmented humans are persecuted for being different, a-la Blade Runner. As it happens, our Jensen has a few cybernetic enhancements himself. He fights terrorism as part of a team that don’t entirely trust him, because… well because he has metal arms I guess. Or something. It’s not long before Jensen uncovers a conspiracy, and the trailer goes on to highlight all of the new abilities our hero has learned since 2011’s Deus Ex: Human Revolution. You’ll now be able customise your weapons, shoot explosives, and harness an awesome looking exoskeleton that serves as a shield. Going in all guns blazing or sneaking through and avoiding fatalities can also play a part in how other characters react to you, so that should make for some interesting moments. Check out the trailer below. On a separate note, Square Enix has revealed a few different special editions of the game, after cancelling its widely panned pre-order program. 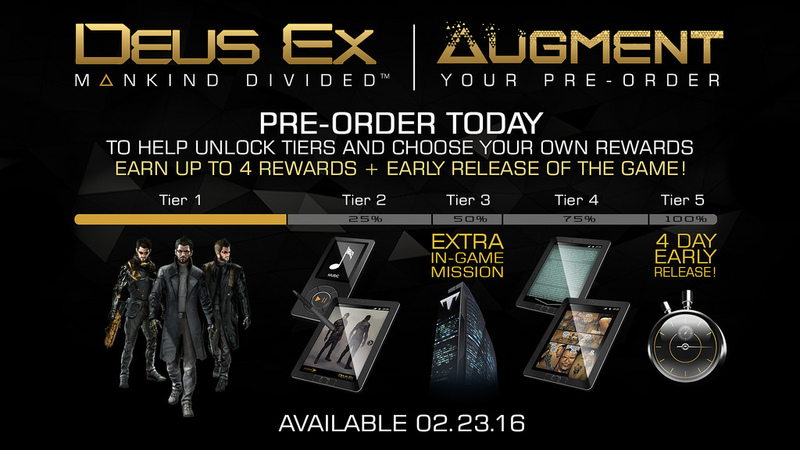 If you didn’t know, Deus Ex: Mankind Divided’s “augmented pre-orders” scheme was a hot mess, a multi tiered convoluted catastrophe of an idea that no one really liked, much less understood. Take a look at it below. But that’s all in the past. We now have the standard Day One Edition for $59.99 (about £40). That comes with the game, along with a digital OST sampler, a few digital books, an extra in-game mission, and a Covert Agent Pack that includes various weapons, skins, and the like. Then there’s the Collector’s Edition, for those of you with deeper pockets. 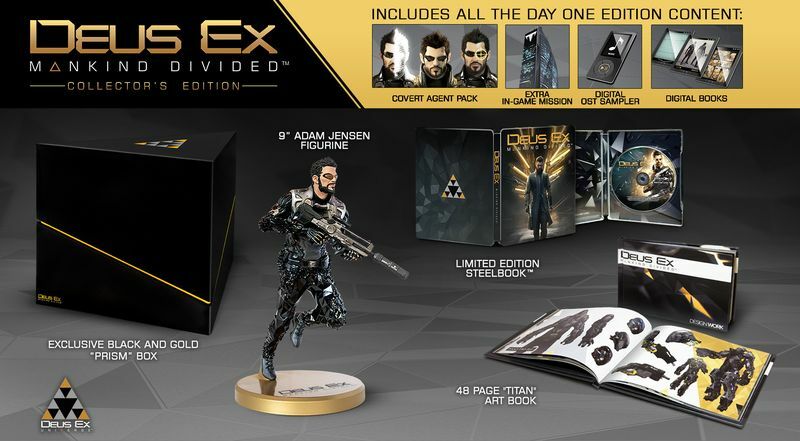 It’s $139.99 (about £96) and includes all Day One content as well as a nine-inch Adam Jensen figurine, a 48-page Titan art book, a steelbook (I love a good steelbook), and an exclusive black and gold prism box. Feast your eyes on that below. There’s also a Digital Deluxe Edition for $89.99 (about £62) that includes the Day One Edition gear, along with a Season Pass. 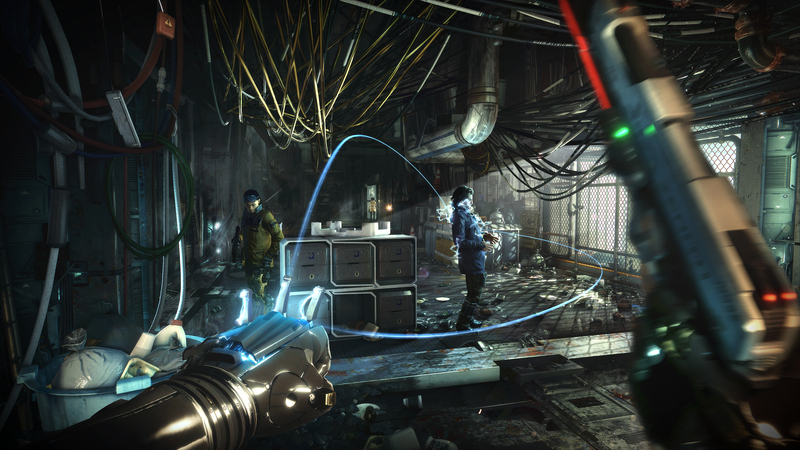 Deus Ex: Mankind Divided launches August 23 for PlayStation 4, Xbox One, and PC.